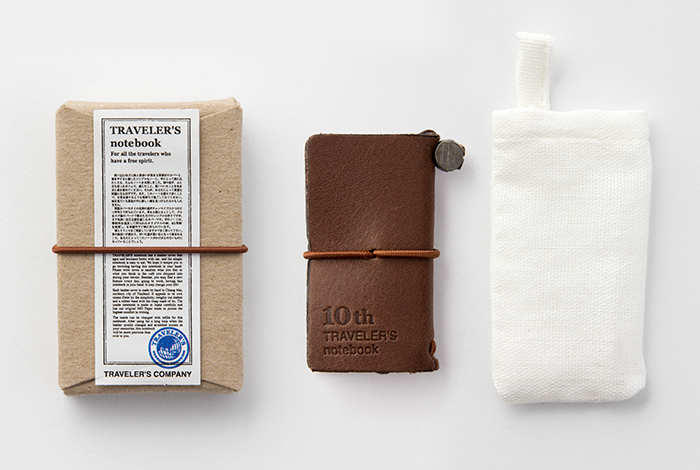 This is a mini size TRAVELER’S notebook that people can carry it around in their everyday lives. 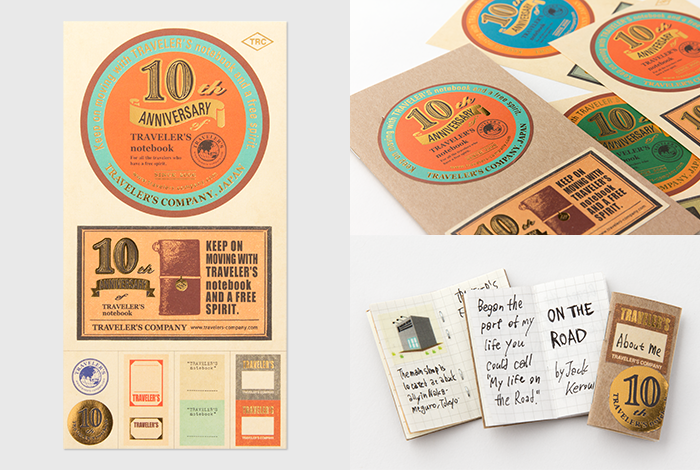 This was made to celebrate the 10th anniversary of TRAVELER’S notebook. 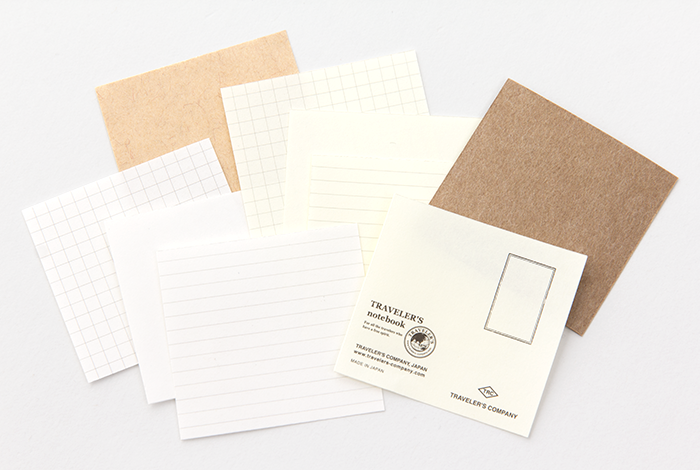 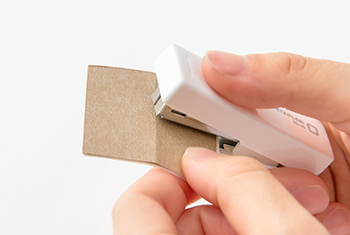 The notebook refill takes a form of a kit, where people can choose their favorite paper and bind it using a stapler. 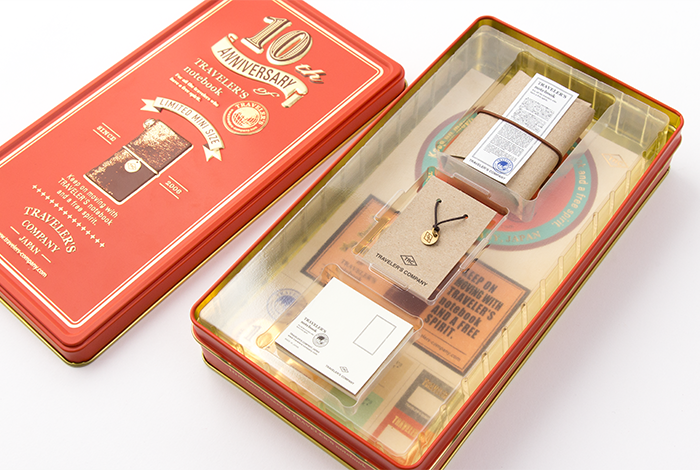 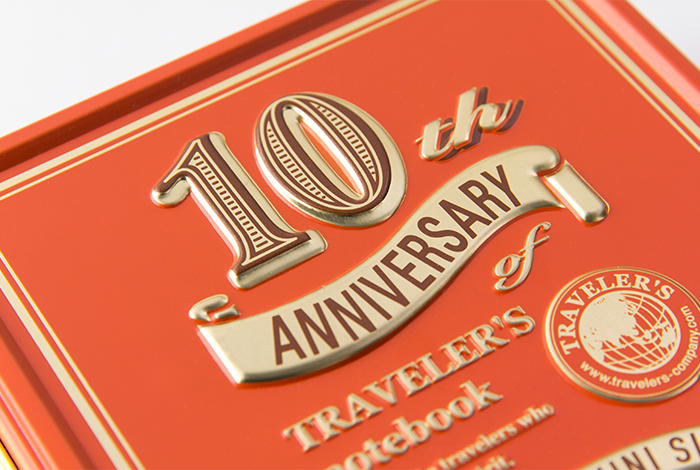 A charm and sticker is included for customizing purpose, and a guide that explains the ten years of history of TRAVELER’S notebook is included. 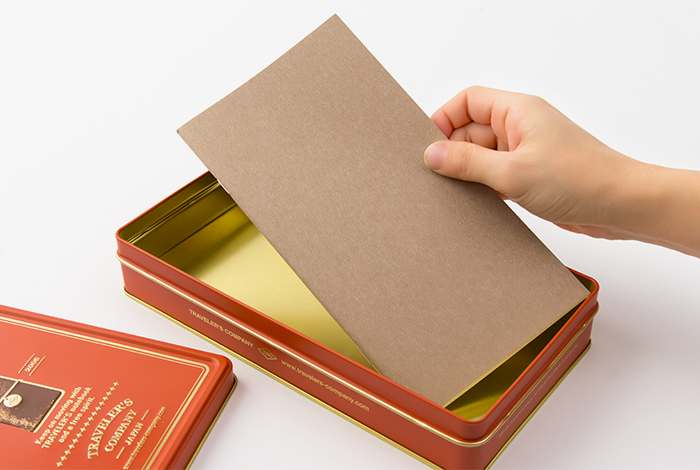 These are all stored in a box shaped can has a size that can store a notebook refill, so it can even be used as a storage box. 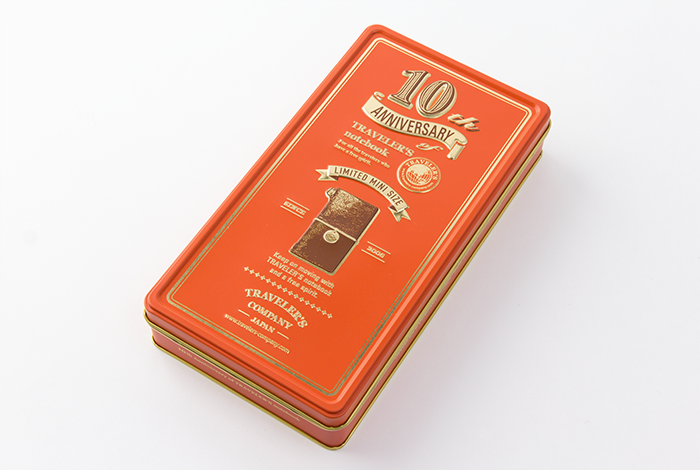 We also included an application form where people have a chance of winning a 10th anniversary limited item. 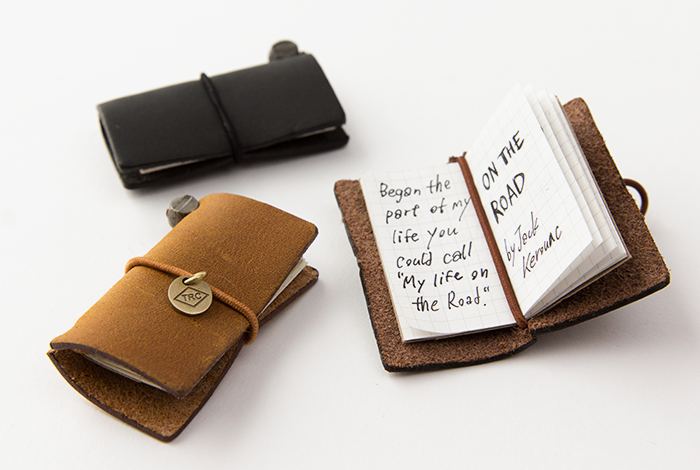 On the mini sized TRAVELER’S notebook that you customized, please write down things such as your favorite words, name, and address. 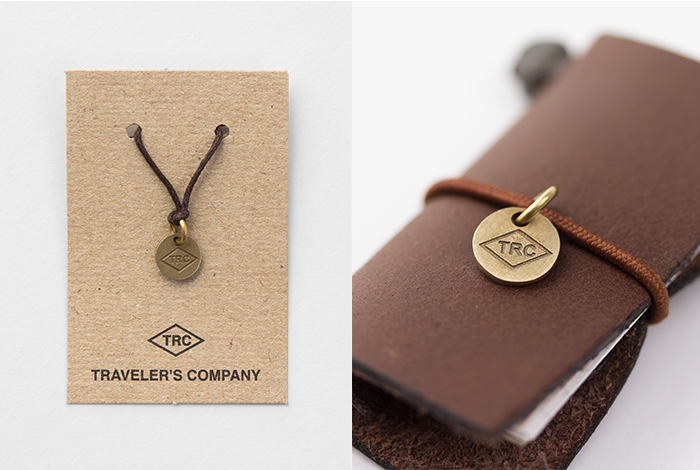 Then please carry this around as an ID tag or baggage tag, and travel through your daily life. 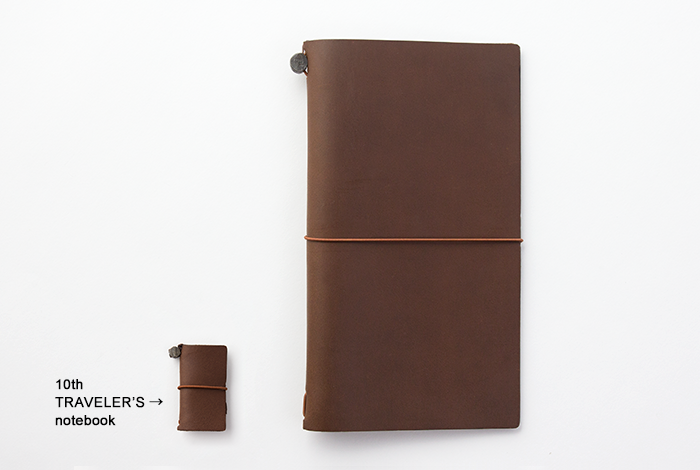 * Since these items are all limited, please be noted that it may be sold out in some retail shops.